Google announced a new markup to communicate multilingual content to Google’s spiders. The new link element is rel=”alternate” hreflang=”x” where you define the language and location in the hreflang area. Google Places primarily known as Google Maps are the best way of maintaining your online presence. Google Place page is the fantastic method to describe your business location with its products and services and some brief information about its operating hours, Location, Contact no, and website URL. You also can add images and interesting videos to make your place page more descriptive about your business. Including Google Place page as a local SEO Optimization strategy is a good addition for small business promotion which will probably help in getting more customers. This add on feature provided by Google is free and increases business profile page, with direct growth in prospective customers and clients for knowing more about our services and products. More importantly Google Place may also help in gaining rank for local search results. 1. Claim Your Google Places Listing and fulfill Your Business Profile: There might be chances that Google has already created a Google place page for your business, but for making it your Business Page you have to claim it and need to build your profile. Complete your business profile with all its business offerings and important information. Make the place page identical the same as your website. 2. Categorize Business Properly: Use categories which nearly describe your business products, this will help in ranking better in search results. Google provides you five opportunities to fill in categories about your business on your Place Page. Categorization makes it easier to be Searched and Get Found. 3. Add Keywords in Business Description: Be concise and précised while describing your business services, use relevant keywords within the description, do not stuff unrelated keywords just for gaining high ranking. Description of 200 words is allowed for briefly describing your business. 4.Encourage Interaction & reviews: Encourage your satisfied customers to write a review which creates a positive point for your business. The more reviews you have the better it is Reviews helps in influencing other customer and also in gaining trust and reliability of the business. 5.Images & Videos: You have an opportunity of uploading 10 Images and 5 videos. To attract more customers upload appealing images of products you deal in, and videos as they are the best one to easily describe the business. Geo-tagged photos and videos give your business an advantage in local search result. Make professional looking and high quality videos to your business page which gives visual idea about your business premises or say your products. Google Place optimization is a effective and impactful marketing technique, so be sure to promote your business in the places people are looking to do business, and one of them by far Places is Google. These above tips have helped to rank business Place Pages at the top of the results. Let’s learn more about getting started on Google Places! Alok Raghuwanshi is an India-based SEO Professional, and author of an SEO and social media marketing blog. I hope you enjoyed today’s post. Now go out and implement! Follow him on Twitter, Google + & Pinterest. Using Flash in any website designing is a finest way to present the web content also it provides a rich impact on website visitors, but from Search Engine point of view it neither read Flash text nor index it, the reason is not because Flash has some accessibility issues, but website making use of flash are considered to be unfriendly with search engine and addition all “SWF” files does not guarantee a proper website indexation. The concept of Search Engine behind this is to emphasize more on “Rich Content” rather than on creating attractive flash design. But with the recent search engine algorithm changes for flash recognition it has started acquiring place for Flash content which has reduced the fear of SEO Experts to lose their Search Engine visibility. Below are some tips for maximizing the exposure and increasing the indexability of Flash website. 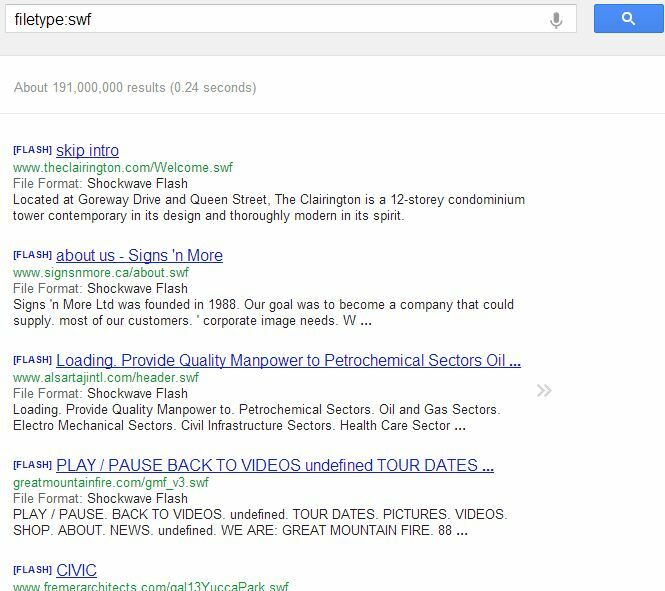 Include Keyword Targeting Message: Look for the most searched keywords and include them in your flash content message. Using this Flash SEO method has achieved top rankings for keywords found only in the Flash content. Because search engine can now see Flash content, so now we have prospect to optimize Flash Content which includes highly related and most searched keywords. Create Html page for each Flash Page: The best way to get your flash content indexed in search engine is create separate SWF file for your content, for a particular keyword and put into XHTML pages i.e., Embed the flash into HTML pages and use regular text links on the page if possible. Instead of including everything in one flash file it’s more beneficial to break the content into different flash files so you can creates different HTML pages around the different ideas contained in it. This makes the site easily crawlable since all of the content is not hidden inside the Flash content. Google Sitemap: Use a Sitemap to ensure that your flash is indexed by search engine or not. As Sitemaps are the xml document which helps spiders for easy navigation of your website, ideally it is the best way through which you make out that all your pages are spidered or not. We place an XML document in the root folder, so that the site is visible to Google crawlers properly, once it is loaded. Flash websites do provide attractive and design elements to your website and also very helpful in engaging visitors to our website. Flash website easily grabs user attention but it’s of no use if your site is not visible by search engine spiders, which directly hampers your website growth. Adopt the above tips for Flash using website to get highly noticed in the eyes of Search Engine which also can drive users to your site and then keep them there with your Flash content. Making use of Pinterest for SEO has become the powerful tool to get assured exposure for business products and services. Pinterest is a different kind of Social Sharing network which allows users to create a bulletin board on which users use pins to share their business images, videos or infographics. It is the one of the newest and most trending networking sites currently available. Generates Traffic: The basic reason pinterest is gaining more importance is due to the actual traffic its generating for the website. Pinterest may bring huge level of visitor to your website as they through images get fascinated and love to explore more about your business offerings. Keyword Technique: Whenever you pin something to your board make use of highly relevant keywords to your business and focus on the target audience also. When you add a new pin always optimize it by adding keywords that are related with your niche, or highly used by searching. Adding keywords to your board increases the chance of appearing in the SERPs. Your content on Pinterest should be optimized for core keywords, now Google is indexing personal Pinterest accounts but, more importantly, individual Boards as well. Backlinks: As Pinterest is one of the best social network, so domain authority is excellent. The more popular a domain name the more it is likely to appear in search engine, so your pins will be greatly visible. The maximum links you create to point back to your website from pinterest the better the results will be. So your website will not only receive traffic but also it scores rank. Image Search or Pin Images: Pinterest is basically known for images choose an image that actually best describes your product. Pictures caption is optimization and pins can be indexed in search engine so make use of Alt Tags to easily get searchable on Google. Use relevant image that is attractive and also give full information about your business. As Pinterest emphasizes pictures over text, it’s important to have high-quality photos. Share innovative and best describable pictures related to your Niche. Better reporting in Analytics: Have a look at your website analytics and see which pages or websites have referred traffic to you. For Pinterest however, really lets you know that bit of content which made the actual referral click and enables you to click through to see the item on Pinterest. This particular function of pinterest actually makes it different from other social networking platforms as it is simple to recognize about the audience interest about what pins and pinboards they have a like for. Pin It Button To Your Website: Just as every social networking site has its sharing buttons Pinterest also have its Pin it button. Adding a pin it button on your website makes it easier for the audience to share the content. If user loves the content or images they can make it shareable for the other audience as well, Pin it button encourages involvement of the user for your product and is a great trick to get an SEO boost without doing the work by yourself. Pinterest being an image based social networking site helps in promoting business products effectively through the maximum use of videos, Images or infographics. Pictures or images are the best to attract any user as their visual presentation makes them fascinated towards the product and then the direct or indirectly uses our website to get more details about the business offerings. The images are the key for Pinterest SEO, as they best define the business product with great details and moreover boost more traffic to your website. 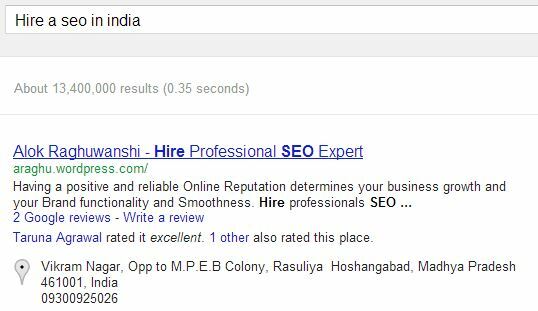 Hire Professional SEO Expert to beat your competitors and reach the top of Search Engine. Follow him on Twitter, Google + & Pinterest. Thanks and have an amazing day!